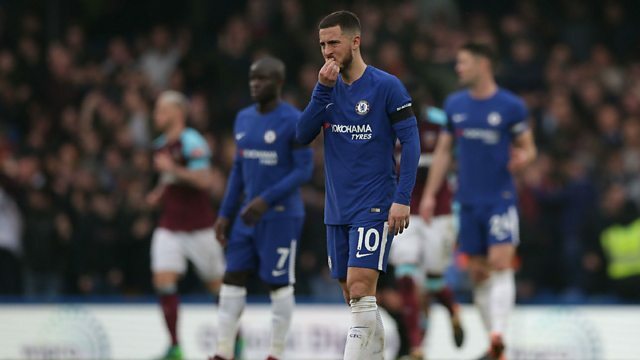 Danny Mills says Chelsea's hopes of finishing in the top four are "done" following their 1-1 draw with West Ham. Antonio Conte's side are now 10 points behind fourth-placed Tottenham with only six games remaining. Conor McNamara presents reaction to that result, and Arsneal's 3-2 win over relegation-threatened Southampton - with Charlie Austin saying his side's players need to "grow up as men."